Spotnet sits “on top” of Usenet adding features and functions that make Usenet newsgroups and downloads much easier. Here's a complete guide to Spotnet for English speakers. In practical terms, Spotnet is a way to make Usenet more visual and easier to use. If you want to find movies, TV shows or erotica quickly and easily, you should really check out Spotnet, especially because it is absolutely free. Usenet beginners and causal newsgroup downloaders will be very attracted to Spotnet. 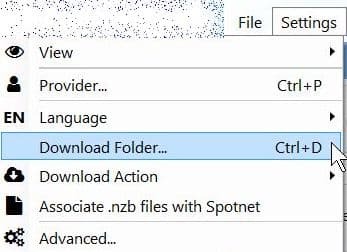 Power Usenet users - those who use an NZB downloader, indexers and automated download apps such as Sonarr and Radarr - probably won’t be that interested in Spotnet. Your complete guide to Spotnet for Usenet. Spotnet gets its name from people “spotting” binaries that have been uploaded to Usenet and organizing them in ways that are easy to find and download in Spotnet. In addition to the uploaded binaries, spots also contain rich information, thumbnails and sometimes even comments. Additional information typically includes a category, genre, quality etc. All of this helps filter out crappy binaries and let you find and download what you really want. You can only see "spots" and the additional information attached to them if you use Spotnet. Spotnet is ideal for Usenet beginners and more causal users (select to zoom). What Makes Spotnet So Easy To Use? Which Usenet Provider Works Best with Spotnet? What are the Disadvantages of Spotnet? 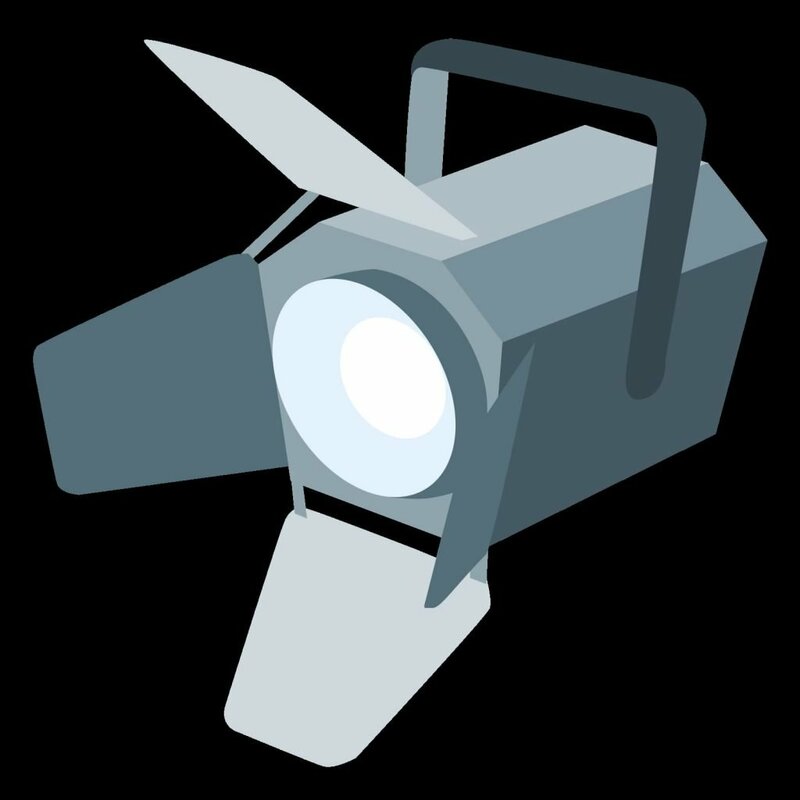 Spotnet acts like a visual newsreader combined with an indexer and user community. Pretty cool! It makes Usenet easier to use, especially for people who are more comfortable browsing for content rather than using traditional Usenet. In particular, Spotnet makes newsgroups redundant because it finds and categorizes content for you. For example, want to see what Movies were uploaded today? TV series? Erotica? Just click, browse and download whatever catches your eye. Here are just a few of the reasons why Spotnet’s popularity is growing. Spotnet is free and acts as your newsreader. But instead of relying on the traditional Usenet concept of newsgroups, it organizes content based on "spots". These are basically binary posts that Spotnet can find and download based on the filters you choose. For example, if you choose "Movies Last 24 hours", Spotnet will displays the spots (posts) that match this criteria. Spotnet only displays the spots you can download (it won’t display corrupted binaries) so this saves you from sifting through a lot garbage on Usenet. If you want to find movies, TV shows or erotica quickly and easily, you should really check out Spotnet. Plus, the Spotnet community is pretty good, so the spots (binary posts) uploaded by fellow Spotnet users are of good quality. When a user posts lousy spots and is blacklisted by enough users, you will stop seeing their spots in Spotnet. You can also set up Spotnet so it only displays spots uploaded by trusted users. All these measures help keep quality on Spotnet good. Where Spotnet really shines is its filters. In one click, Spotnet can show you the spots (posts) that match a certain category and timeframe. For example, click on the pre-set filter Movies Today and voila you are presented with the latest movie spots that you can easily download. For TV shows, Spotnet sometimes uses the term "Series", so the pre-set filter Series Today would provide similar results but for TV shows. Choose the pre-set filter Erotica Today and it’s the same story. If you want to find spots further back in time, that's not a problem. Click on the pre-set filter All Movies and they will all be displayed. These results are so massive and lengthy that will need to either sort the results (for example, by selecting the Size or Age column). Or, use Spotnet’s handy Search feature to whittle down the results to a more manageable list. You can use Spotnet’s powerful search feature to look for keywords in all Spotnet spots or just those in a particular category. Or, you can further filter spots for even deeper results. For example, Spotnet has movie genre subcategories that let you see movies in categories such as Action, Adventure, Cabaret, Comedy, Documentary, Drama, Horror, War, Science Fiction, Kids, Music DVD, Christmas, Sport and Thriller. How easy is that? And it's a similar story for Spotnet's other main categories, Series (TV shows), Erotica, Software, Games, Books and Audio. Drill down in these genre subcategories to easily find what you want. If you want to get even more sophisticated you can easily set up your own custom filters. 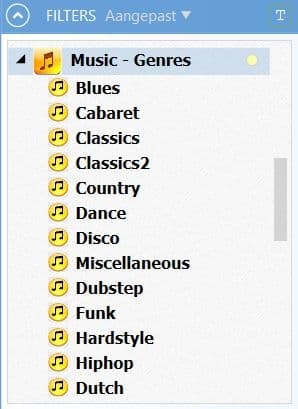 For example, you can set up a filter for Spotnet to display Movies of a certain genre, language and/or format/quality. And it's the same for Erotica, Software, Games, Books and Audio. You can read more about Spotnet’s Custom Filters below. Make sure you download Spotnet2 from https://www.spotnet.tk/ [update: the download page for Spotnet2 and English-language pages have recently disappeared from the "official" site: https://www.spotnet2.eu/ and https://www.spotnet2.eu/en/spotnet-2-the-most-user-friendly-usenet-newsreader/]. Then install Spotnet as you would any other software. [Username] in the path above refers to your Windows username (the one you were logged into when you installed Spotnet). We would have much preferred if Spotnet allowed us to select the installation location as we usually install all our download apps to a virtual encrypted drive. You will be immediately prompted to enter your Usenet provider details. Warning: You won't be able to go further or check out Spotnet's interface until you do. Just like any newsreader software, enter your news server, any ports needed, username and password into Spotnet’s Settings. You should have all this information in your Welcome Message from your Usenet provider or in its customer dashboard online. You'll need to enter Usenet provider details to go further. If you don’t have a Usenet account and are wondering which Usenet provider to use with Spotnet, consider getting a plan with Dutch-based provider Eweka. Spotnet and Eweka are a match made in heaven. Spotnet is The Netherland’s most popular newsreader and Eweka is The Netherland’s most popular Usenet provider. As you’d expect, they work extremely well together. Spotnet & Eweka work hand-in-hand very well. Once Spotnet is installed and your Usenet provider details entered, we would recommend you change a few default settings in Spotnet right away. This includes the language of the interface (the default language is Dutch) and where downloads are saved. To change the default language of Spotnet from Dutch to English, in the menu select Bewerken , then Taal and then English. The change will require a restart. In Settings, change the default language to English (select to zoom). You'll be prompted to restart Spotnet. For some reason, even when you change the default language to English, Spotnet's filters remain in the Dutch language. Hmpf! In Settings, go to View > Filters List and then choose Advanced EN. This will display Spotnet's filters in English. As with any downloading app from Usenet to torrents to anything in between, we also recommend you download your files to an encrypted drive created with something like VeraCrypt (free open source software). This keeps them safe and away from prying eyes. To change Spotnet's download folder, go to Settings > Download Folder... and browse to where you want Spotnet to save downloaded files. In Settings, change the default download folder. The first time you run Spotnet after connecting it to your Usenet account’s news server, it will take some time as it needs to update all its databases, including for spots (binary posts), comments, spam etc. You can still use Spotnet while it's downloading this data, but it will be a bit slow and results may be incomplete. We recommend you get a coffee and let Spotnet finish downloading this data before you start using it. By default, Spotnet will update every time it starts up. If you want to disable this (maybe like us you find this annoying or your connection is on the slow side), change it as follows: Edit > Settings > deselect (untick) Updating when starting. Just remember that you’ll need to perform a manual update whenever you want the very latest spots. Now it’s time to find and download some juicy content! The spots for the filter you selected will be displayed. If you see a spot you like and want it right away, download it by selecting the green down arrow on the menu bar appearing on the spot. Downloading a spot from Spotnet (select to zoom). You can also find spots by keyword search. Just type in what you are looking for and browse Spotnet’s search results. 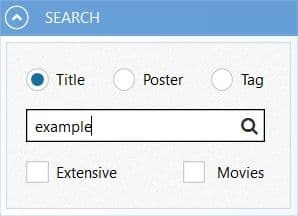 You can keep the search broad and search all of Spotnet (“Extensive”) or restrict your search to a certain spot Category (usually the category you are currently in; for example, “Movies”). How to search in Spotnet. To check the progress (and history) of your downloads at any time, just select the Downloads tab from Spotnet’s main display. 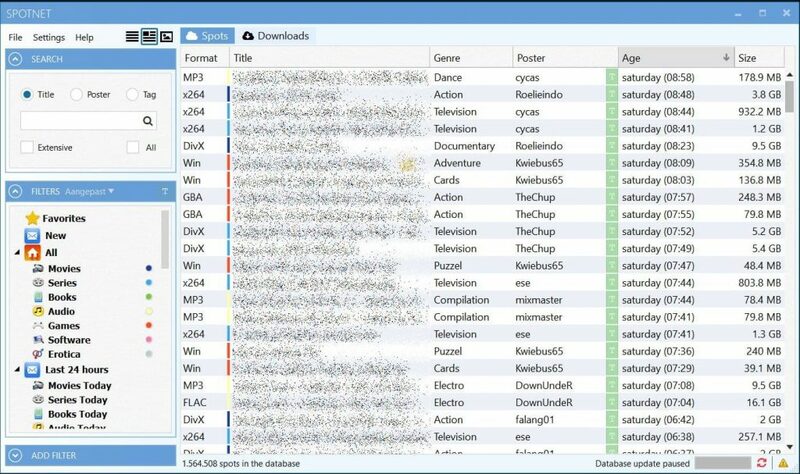 Check the progress of your Spotnet file downloads (select to zoom). Spotnet’s default filters are pretty darn good. But it's easy to create and add your own custom filters too. This is handy when you regularly search for and download specific types of binary files. For example, if you wanted a custom filter to display only horror movies in the Blu-ray format, you could easily do this. Or maybe you are a fan of anything horror. In that case, you could set up a filter that displayed spots containing horror movies, TV series or books. Here’s a more extreme example: you could create a custom filter for retail versions (no cams etc.) of war movies in which French is spoken with English subtitles in either Blu-ray or MPG format. Now, we don’t promise you'll get a lot of hits with this filter set up, but it just shows how specific you can be with Spotnet’s custom filters. Spotnet has an active Forum Community for help and support at http://spot-net.nl/. However, it is heavily in the Dutch language. But you'll be able to figure most things out using Google Translate. Here are some tips for getting the most out of Spotnet. We recommend that you perform updates manually. Updating the Spotnet database is a little resource heavy and we prefer to decide ourselves when Spotnet updates its database of spots rather than letting it do this automatically. To set this up, go to Settings > Advanced > Database and then deselect (untick) 'Database update run automatically'. Once manual update is established, to update, you click on the red circular arrows in the bottom right of the Spotnet app. When Spotnet is updating you can still use it but you'll occasionally see messages like "Search results might be incomplete because spots database is not yet up-to-date." To keep Spotnet’s database no bigger than it needs to be, enter your Usenet provider’s retention period in the Settings. For example, Eweka has a retention period of 3,700+ days but other providers may support only 200 days of retention or even less. Enter your Usenet provider’s retention period by going to: Settings > Advanced > Database > check Retention (days). Once set, Spotnet will automatically delete spots older than this figure as you wouldn’t be able to download them with your Usenet server anyway. Just remember to update this figure if you change Usenet providers, especially to one with a higher (better) retention period. Start your hunt for spots by selecting the filter "New". To quickly check the latest files on Spotnet, go to the 'New' pre-set filter. This will display the latest spots and usually contains popular items. 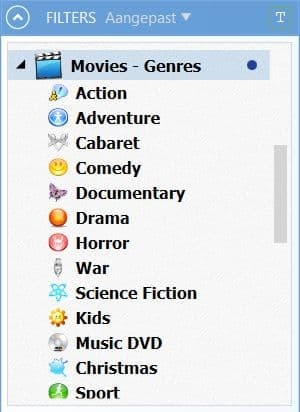 A good tip is to select the column Genre so that Movies, TV shows, Erotica, etc. are lumped together. Rather than download spots right away, we recommend that you first add spots to Favorites (the star icon) before downloading them. This is a great way to skim through spots and add them for potential downloading. Once your searching and browsing of spots is complete, you can then go to your saved favorites and decide which ones to actually download. This two-step process saves you from aborting downloads that you later change your mind about (such as, downloads that you may be better off getting from torrents). For example, if you later find a spot you were looking for of better quality, smaller file size or with subtitles you needed. We recommend that you disable download notifications. If you have Spotnet working in the background and are downloading files that could be embarrassing (for example, you don’t want your significant other to see notifications about the Erotica spots you are downloading), turn them off. Do this by going to Settings > Advanced > Downloads and deselecting (untick) "Windows tray notification about download complete". Spots can be expressed as URLs for later use and sharing (for example, in emails or instant messages). Open a spot (double-click on it). In the upper-right will be an icon similar looking to the universal icon for Copy. Hover over it and it will display "Copy link to the spot". Select it and then paste the resulting link wherever you need to. These sites simply act like indexers of Spotnet content. Please note that you won’t be able to download anything from these sites without a Usenet account. These web-based Spotnet sites are still handy though as you can see quite a bit of information about files (usually including a thumbnail image) before you send them to your newsreader for download. Spotnet isn’t perfect. Here are our gripes about it. Spotnet is somewhat Dutch-centric meaning it caters to residents of The Netherlands, a north European country. For example, Spotnet will initially boot up in the Dutch language. But it’s easy to make English Spotnet’s default language (shown earlier in this tutorial). In addition, many of the movies you will see may have subtitles in Dutch (“NL subs”). If you look at the comments or additional information for spots, you'll also see many of them in Dutch too. The Dutch are famous for their love of Usenet (and erotica). The Dutch have embraced Spotnet more than anyone else, so it makes sense you'll detect a Dutch touch in spots and Spotnet in general. But Spotnet is catching on in the US, UK and other English-speaking countries, so you’ll see plenty of stuff in English. We find Spotnet to be not super stable. Spotnet sometimes hangs and you may occasionally need to close and re-open it. This is especially true when doing searches or when the database is updating (and one reason why we recommend in our ‘Tips’ above to do manual updates). Spotnet does have a little bit of spam, especially in its Erotica spots, but these spots are quickly labelled by fellow Spotnet users as spam and easily avoided. You may notice when installing and setting up Spotnet that it prompts you only for one news server. Unfortunately, Spotnet only supports one news server, so if you have multiple (or block) accounts, you'll have to choose just one. This contrast with popular news readers such as NZBGet and SABnzbd which support multiple news servers. All in all, Spotnet is super easy and intuitive to use. Because it's free, we would recommend everyone use it. Whether you use Spotnet as your sole newsreader or use it in addition to a more traditional newsreader, it's a great Usenet tool to have!